Although a crazy amount of work can pile up in the day-to-day running of Beckett – often causing this sentence amid a flurry of activity, “Crap! I totally forgot its my turn to write the blog this week!” – the blog is easily one of my favorite aspects of the job. This especially means I am over the moon when someone compliments or simply wants to discuss it. We have readers?!? Who knew! Certainly not I. To all the amazing readers who love the store and read the blog, we have a special January surprise for you. Currently the entire back half of the store is 20% off to everyone…. but to our fellow blog peeps we would like to up the anti. Use the code “Got Style” when shopping the store – or try your luck on Insta or News Letters if not in Charleston. We will give you 35% off instead! As long as it is an item from our back half (most all fall/winter items) you will get the discount! Astrid Blouse is an off-white silk, slight V, with cute little ties at the end of the sleeves. We have a L, and XS left. Was $325 now $198! Shell is separate also on sale! Tate sweater (30% cashmere 70% wool and 200% soft) on super sale from $198 to $84. One XS left. 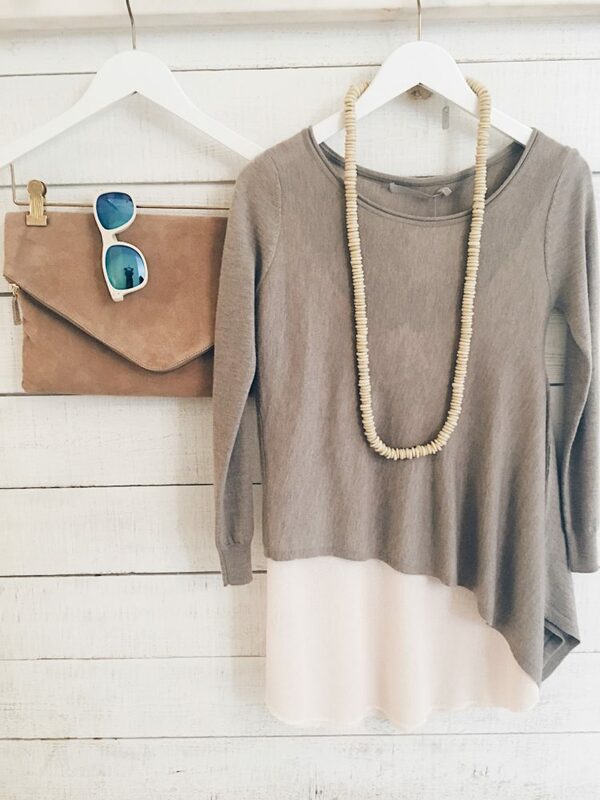 Layered with the blush Hera knit tank. Was $138 now $86, M and L left! 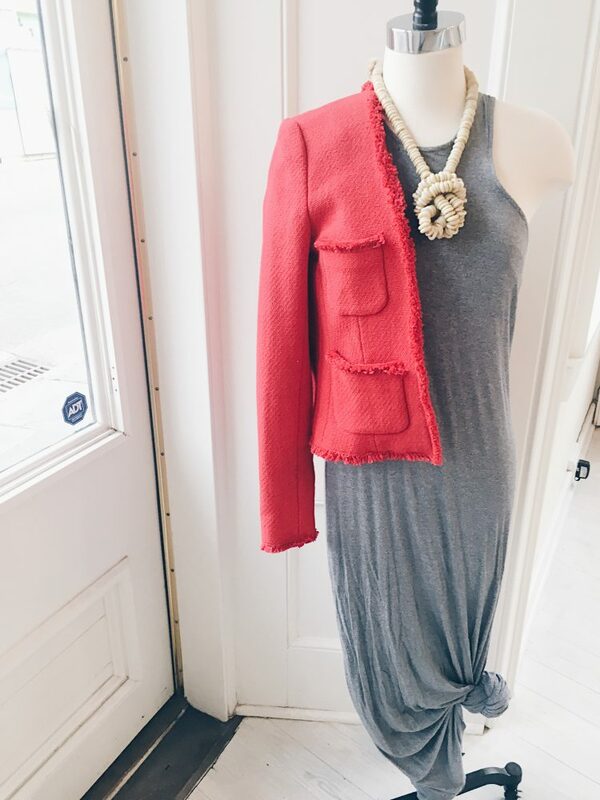 This jacket (Jules 4 pocket Fringe Jacket) is insanely pretty and I am shocked it is still around to tempt me. It was $435 now $270 with your discount! Size 2,6, & 8 left. Coincidentally it is also blogger Holly Boyd’s (@maketodayahollyday on insta) favorite item at Beckett. Maxi dress was $148 now $68 only one M left. 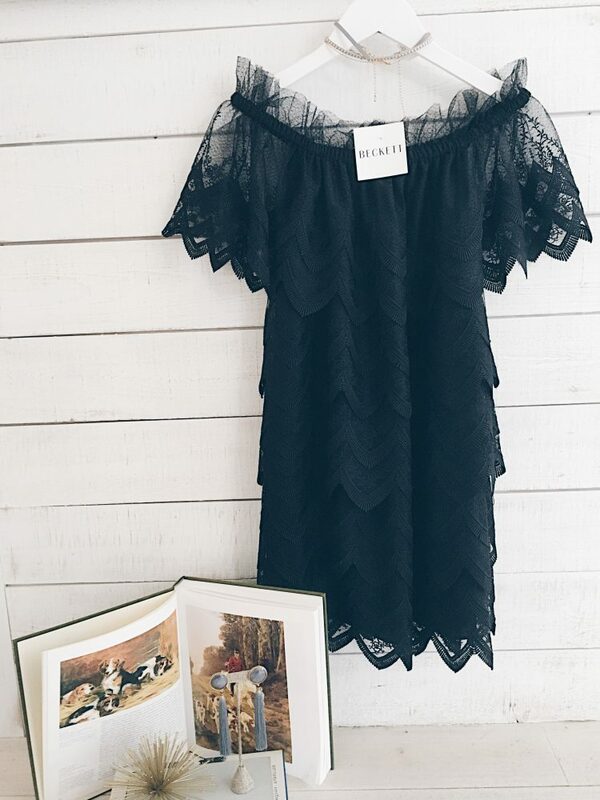 Oh the Ali Dress… the places I could take you. Casual enough for a fun night out, elevated enough for those nights/weddings when you just want to get a little fancy. Not on sale anywhere else, but for you… anything. Was $435 exclusively $280 with your “Got Style” discount. M and L left. P.S. – this is an off-the-shoulder number. It is vacation time and I ask you, who doesn’t need a bright wrap dress when playing leo and Kate on a cruse? 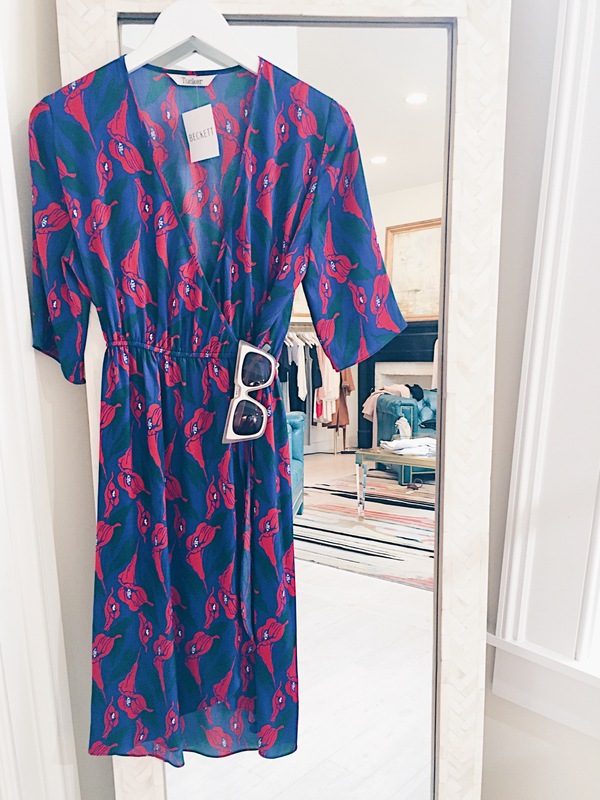 This wrap dress is the silkiest silk. Was $375 now now $240 with your discount double check. All sizes available. This is a peplum crop top. As such, there are endless styling possibilities including a matching pencil skirt in a size 0 and 2 ($98). However, A* actually owns this and wears it as shown, although she is partial to layering with grey or black. 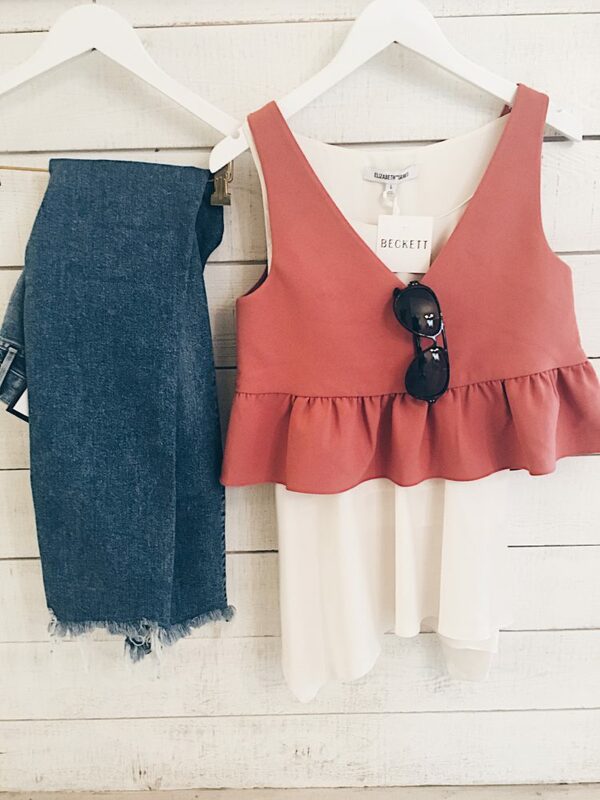 In the peplum top we have a S and L left on super sale. Was $215 now $68.